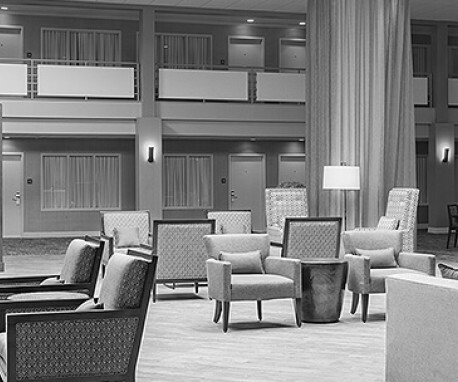 Perfectly situated between Washington, D.C. and Baltimore, DoubleTree Laurel is the ideal hotel for your next visit! Enjoy updated guest rooms and DoubleTree amenities like fresh chocolate chip cookies. 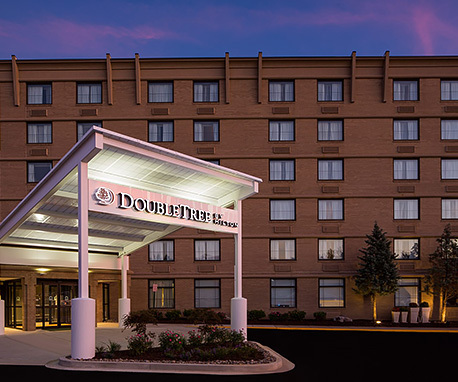 DoubleTree by Hilton Laurel is conveniently located near Fort Meade, making our hotel the perfect location to spend time during training or relocation. We offer free local shuttle service to a variety of sports venues as well as entertainment options like the Towne Centre at Laurel shopping district. You can dine in casual comfort at the Atrium Cafe, or catch a game at our All American Sports Grille.